We at Deckstainhelp.com offer tips for more than deck stains. In this article, we offer our insight on how to tackle a fence staining project when it comes to prep and stain application. We always appreciate your input, so feel free to leave a comment below with pictures of your fence stain projects. Wood fences are an excellent way to increase curb appeal and add privacy to any yard. They come in many sizes and designs but one thing remains constant, wood fences need to be protected from the elements if you expect it to last. Staining a wood fence will help enhance its natural beauty along with providing adequate protection from water and sun damage. DeckStainHelp.com has become the Internet’s go-to site for wood deck restoration tips. Rough sawn wood can be used to construct and stain a beautiful wood deck. In this article, we offer tips for staining rough sawn wood for best results. If you have any questions on staining rough sawn wood, feel free to leave us a comment with pictures if you have them. 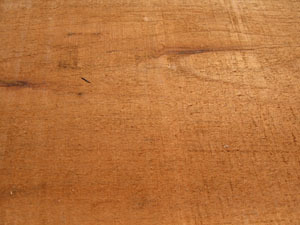 Rough textured wood also known as “rough sawn” is wood that is used as originally cut. It has not been smoothed out or sanded in most cases. Wood like this is a bit more difficult to stain than smooth textured wood but it does not have to be an overwhelming task. Rough sawn wood is commonly used for exterior wood fences, decking trim, and house trim. Typical wood types are cedar and pine. Using the right stain and tools can make the job much easier when it comes to rough sawn.